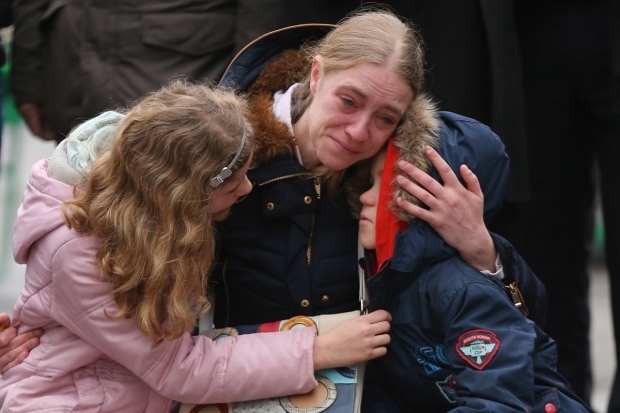 At least 31 people were killed and scores wounded Tuesday after two explosions rocked the check-in zone of Brussels airport and a third blast hit a metro station in the Belgian capital, in what appeared to be a coordinated attack, NBC News reported. Florence Muls, a spokeswoman for the Brussels Airport, said a third bomb has been neutralized at the airport, The Associated Press reported. ISIS claimed responsibility for the attacks, according to a post by its affiliated Amaq Agency that was deemed legitimate by NBC News counterterrorism consultancy Flashpoint. Brussels Mayor Yvan Majeur said an explosion at Maalbeck metro station killed 20 people and injured scores of others. According to the country's ministry of health, 11 people were also killed at the airport. Belgian fire and rescue services said 212 people have been injured, including 30 critically wounded or burned. Three American Mormon missionaries were among the injured and were listed in critical condition after suffering non-life threatening injuries. U.S. military officials said a U.S. service member and four members of his family were also injured in one of the blasts. The attacks followed a raid in Brussels on Friday that captured Europe's most wanted man — Salah Abdeslam — in connection with the Paris terror attacks.